Salkantay Inca Trail Trek 6-Day / Best hike to Machu Picchu / Matours. It is an incredible hike along the Inca trail by Salkantay to Machu Picchu, which is 60 kilometers long and 6-day long, is much more complete than any other adventure in Cusco. Walk along the Inca trail through Salkantay. The least explored route that crosses the Andes mountain range to the Amazon jungle. Pass through the slopes of the Salkantay Mountain, appreciate its beauty and its majesty. Then, explore the Classic Inca Trail and finally visit the Inca city of Machu Picchu. 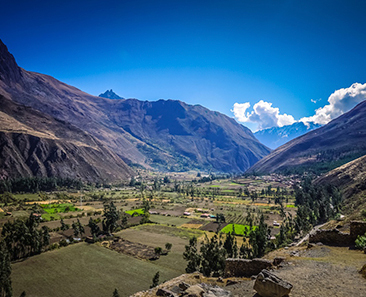 From the beginning of this unforgettable and best hike, enjoy majestic landscape views: deep valleys, colorful lagoons, snow-capped mountains, and incredible roads and Inca villages built in stone. Also, go through infinite microclimates and be surprised by the richness of biodiversity. DAY 1. Cusco – Mollepata – Soraypampa – Humantay Lagoon – Ichupata. DAY 2. Ichupata – Incachiriasca – Sisaypampa – Paucarcancha. DAY 3. Paucarcancha – Wayllabamba – Llulluchapampa. DAY 4. Llulluchapampa – paso Warmiwañusqa – Pacaymayo – Chaquiqocha. DAY 5. Chaquiqocha – Phuyupatamarka – Wiñayhuayna. DAY 6. Wiñayhuayna – Machu Picchu – Cusco. Detailed Itinerary of the Salkantay Inca Trail Trek – Best hike to Machu Picchu 6 Days. At 4:00 a.m. start your trip in a private minibus from Cusco to Mollepata town, visit a family home to enjoy an energetic breakfast (6:00 am). Then continue your trip until the beginning of the trek, Soraypampa. Start hike towards the Humantay Lagoon. Marvel at its scenic beauty and take excellent photographs. After all, start to descend towards Soraypampa, where our chef at noon will surprise you with his delights. After lunch, at 1:00 p.m. continue your 3-hour adventure up an ascending trail to Ichupata, a place located on the slopes of the Salkantay peak at 4,350 meters / 14,272 feet and spend your first-night camping among high snow-capped mountains. Before dinner (6:30 p.m.), drink tea of the coca leaves infusion to avoid altitude sickness. Meals: Lunch, dinner, Snacks and hot drinks before dinner. Before breakfast, appreciate the majestic views of the Andes mountain range. Then start ascending very slowly to the highest point of the trek, Incachiriasca Pass (4,800 meters / 15,748 feet). From the highest point, be amazed by the scenic beauty, snow-capped mountains, phenomenal inter-Andean valleys, colorful glacial lagoons and if you’re lucky you’ll see the Andean condor. After a short break, start to descend to the other side of the mountain to the lunch spot, Sisaypampa. Then continue down the valley to Paucarcancha (2,750 meters) where you will spend the second night of camp and also where you will say goodbye to the muleteers and horses. Meals: breakfast, lunch, dinner and hot drink before breakfast and dinner. In the morning hours, while we wait for the porters of the Inca Trail, take your time to recover your energies. Have your breakfast at 7:30 am with total patience. After your delicious lunch, meet the group of porters who will accompany you on the rest of the trek. Then, pass the control of the classic Inca trail and start with the short and gentle hike to the Llulluchapampa camp. Have a hot coffee at 5:30 p.m. and enjoy a nutritious dinner at 6:30 p.m. Walking time: 2 and a half hours. Today your route is longer, but it will be something unforgettable and unique because you will hike through the Inca constructions and the humid subtropical forest. Therefore, we recommend taking caution when walking. Take care of biodiversity and archaeological remains. After the delicious breakfast, begin to ascend for 2-hour to the highest point of the Inka Trail, Warmiwañusqa (dead woman 4,200 meters high). Here you will have enough time to rest and enjoy the incredible views. Then, descend through a path full of stone steps to Pacaymayo, where you will enjoy a delicious lunch (3,600 meters). After lunch, continue your adventure climbing to the second high point Runkurakay Pass (4,000 meters). On this journey, explore beautiful small Inca villages Runkurakay and Sayacmarca where the original constructions are kept and have unbelievable views. Also see the small Yanacocha lagoon, where the Incas worshiped the water. Finally, settle into your tent to spend the night in the Chaquiqocha camp (3,610 meters). At 6:30 p.m. enjoy a relaxing dinner and spend the night in a fantastic place. Today. The walk only lasts 5-hour, but always with different panoramic views, varied climate, the abundance of biodiversity and Inca archaeological sites that had several functions. After breakfast, walk two hours to the first Inca town called Phuyupatamarka. It is a masterpiece where the Inca astronomers studied the behavior of the stars. The second one is in an entirely pending place, composed of many terraces that were used to plant different types of products. Finally, arrive at the last camp of Salkantay Inca Trail Trek – The Best hike, Wiñaywayna (2,600 meters). After lunch, you will have enough time to explore Wiñayhuayna archaeological site. At 6:30 pm, enjoy a farewell dinner with all the expedition team. Because the next day at 5 in the morning, while you continue the walk along with your tour guide to Machupicchu, our porters and the cook will return to the city of Cusco. Start the last part of the Salkantay Inca Path hike at 4:30 am, following a beautiful path surrounded by humid forest to the door of the sun, from where you will have a panoramic view in 100% of the Machu Picchu Inca city. Afterward. You have to descend to the main gate of Machu Picchu to register and then explore the city for 2 hours together with your expert guide. After the tour, climb up to Huaynapicchu or Mountain on your own (it is optional if you want, you have to book in advance). After all, take the bus to go down to Aguas Calientes town, lunch (on your own). Later, board the return train from the station of Aguas Calientes (Expedition Train 15:20 hours) to Poroy train station – Cusco, where our staff will be waiting to take you in a private minivan to the city of Cusco – Hotel. Arrival time to Cusco: 7:50 p.m.
End of the Salkantay Inca Trail Trek – The Best hike to Machu Picchu 6-Day. A private minibus from Cusco Hotel – Soraypampa. Feeding: Breakfast on the first day, lunch and dinner on the last day. Travel insurance. We recommend that you take out travel insurance for the period of the trek. 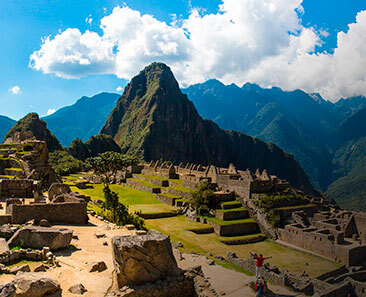 Before booking the 6-day Inca Trail, ask us about availability for the dates you want. In general, reservations must be made 5-6 months in advance, depending on the season. Drink coca leaves infusion. Coca will help you adapt to the climate and will provide you with energies and vitamins. 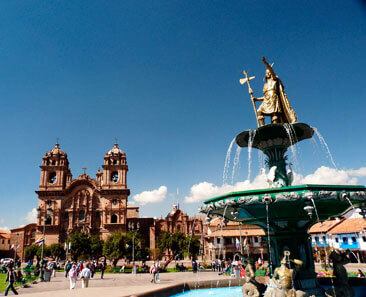 To better acclimatized, Take short walks around Cusco, or you can also book our short tours. If you want to hire one of this tours, you must make booking separately. The travel company will provide you with a duffel bag so you can carry everything you need for this hike. The canvas bag, on the first and second day, will be transported by the horses and on the rest of the days by the porters. Also, you have to carry your small and light backpack. Prices of the Salkantay Inca Trail Trek 6-day. All the service is private. The cost varies according to the number of members of your group. From US$ 999 per person in a group of 6+ people up to US$ 1150 per person in a group of 2 people. US$ 30 off. For university students under 25 years of age who have a Card in PVC material. The card must have the following requirements: information of the university, personal data, and the photograph of the student, expiration date valid only for one year, must coincide with the year in which the student takes this hike. Note: To receive the discount benefit, we need you to send us the high-quality photo or scan of your card. We also need to see the high-quality image or scan of the passports of students under 17 and children under 12 years old. All these optional services, they are not included in the package price; if you want, you must add at the time of booking. Availability All year. Except in February.